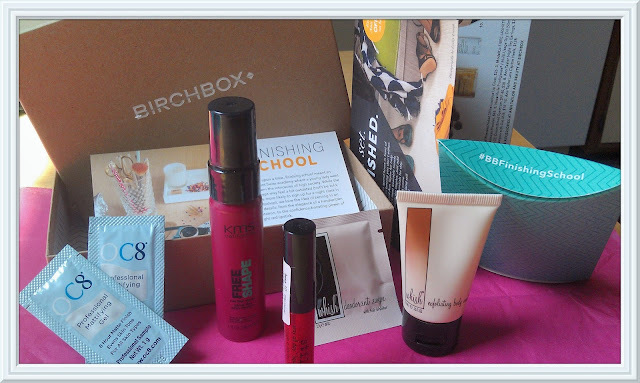 I'm Not Skinny: August 2013 Birchbox Review. I hate to say it..but this month is another, meh month for Birchbox. I'm slightly embarrassed because I bought a year subscription for a friend for her Birthday and the two months she's gotten it now, it's been a disappointment. Here is what came in the August 2013 BirchBox I received. This is my favorite thing in the box and it's pretty amazing. When I first applied it I quickly realized that a little bit goes a long way. There's no need to get to crazy with the amount, just be sure to spread it evenly. 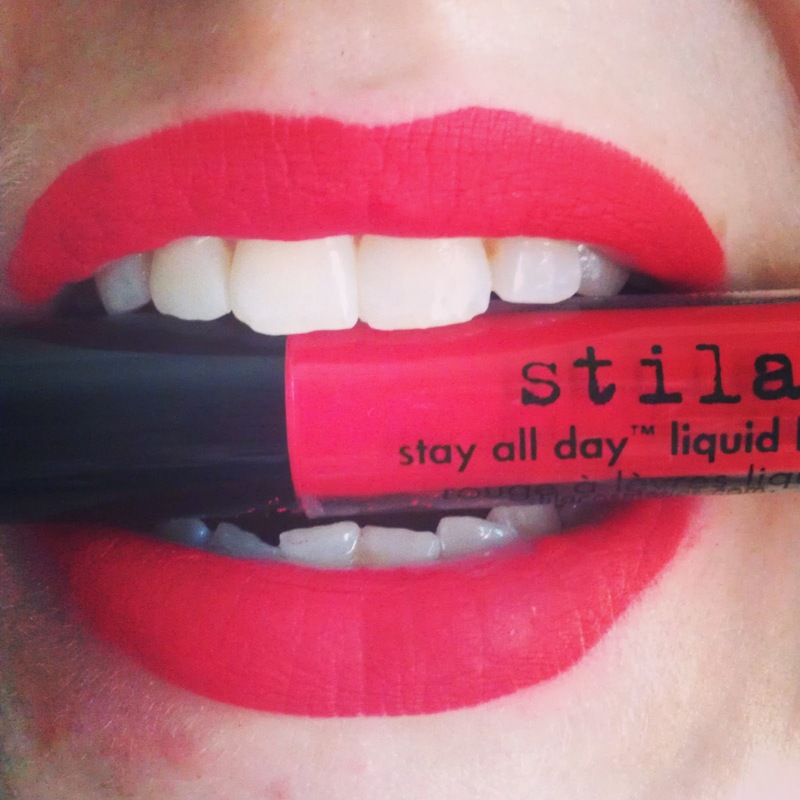 It goes on wet, but dries matte and really has some serious staying power. Doesn't smudge once dried! I'll give this a try. It's a heat activated styling product. Sprays a bit like a gel, so it might end up being a little to stiff for my hair, but maybe I'll get some volume out of it. If I try it and like it you can expect an update here. This is a gel that you put on after moisturizing your face, but before foundation that helps you keep a matte look. It claims to have an 8 hour life. I don't use coverup or foundation, so I won't give this a try until there's a special event I go all out for. The samples are kind of small, there's nothing deluxe about a packet. Sorry Birchbox. I love the coconut scent of this and I do have high hopes for the sample. The price is right on the full size product at $22 as long as it works. My 'Beauty Extra' this month is a Whish Deodoerant swipe. It claims to have a hair inhibitor but I doubt after using one swipe I'll be able to give an adequate opinion of the products ability to inhibit hair growth. The scent is clean though. My box also included some coupons to use at Ann Taylor. Nope, not impressed again this month. If you'd like to sign up for Birchbox after my less than stellar review (they have had some really great months, I don't know what's going on over there) feel free to use my link..and I might earn points to purchase full sized products. I think these subscription boxes are really interesting, but it's definitely unfortunate if you don't like the stuff in your box. hmmm... like you said, it seems like a eh month... maybe next month will be better?? This is nice for people who like makeup and stuff. I wear some, but I never wear lipstick and only color free gloss, so for me, I think it would be a good gift for others! Ohh, I like that the Stila dries matte and stays a long time!! Totally looking for it to give it a try. Oh I hope next month they send something amazing!